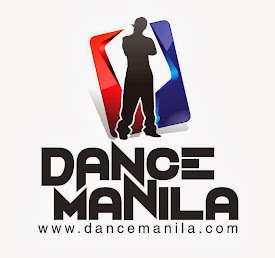 Since I've been in Manila I've had a couple of events scheduled to attend to or organize. Amusing enough I find the time to inject all possible interests of mine into this Summer in Manila. Now Summer in Manila also means a lot of Cosplay Conventions happening and so before leaving Cebu, planning my trip, I carefully considered and packed three of my favourite cosplays. Just considering the possibility of checking out the conventions and immerse myself among Manila cosplayers and the conventions held here. Last year I have been to 2 out of the many conventions slated for the first quarter of 2009. 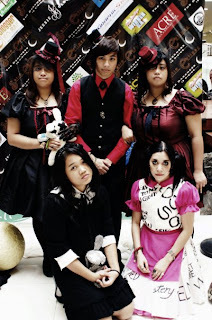 They were Ozinefest 2009 and Shizen Orchestra and for a newbie in the local scene I was overwhelmed and was quite happy with the experience. Never had I imagined that it will only get better this time around. I've only been here for less than a month and I have already used 2 of my outifts from attending cosplay events. They weren't really conventions and one of them was unexpected. The first one on my list was the Alice in Wonderland Tea Party organized by Power Plant Mall in time for the release of the movie and the launch of their 3D cinema. This event was also promoted and participated by Filipina Cosplay Queen Alodia Gosiengfiao as the White Queen, her sister Ashley as Alice and Faus Ontengco as The Mad Hatter. I chanced upon the event on Facebook and seeing that it'll happen just about the time I arrive in the city, why not go? So instead of just 2 cosplays I had initially planned on packing, I added my Pink Gothic Alice in the suitcase. 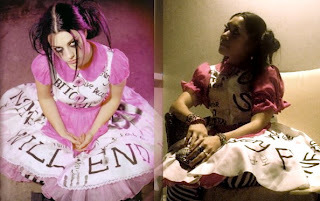 I love this cosplay first and foremost because it was inspired from a photoshoot Amy Lee of Evanescence has done. Her version of Alice. Now I'm not a fan of the color but a big fan of Amy Lee and Evanescence so I didn't mind this at all. In fact I didn't mind slaving over the entire outfit and creating most of it from scratch. It was the first baby doll dress I created and although it could use some further adjustments and alterations, I'm proud of it just the same. 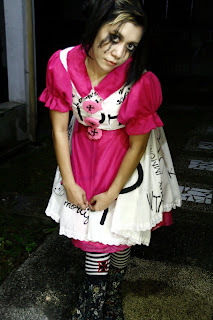 I first wore this to Satin Eclipse, the Halloween Cosplay event in Cebu by CANE Events (October 31, 2009). Little kids thought I was this pink life-size doll or something but most kids were fascinated. I didn't have the streaky mascara tear make up on then for lack of time so I guess I wasn't as creepy as I had imagined. OK back to the Alice in Wonderland Tea Party! It was held at the Archaeology Wing at the Power Plant Mall in Rockwell, Makati City, during the weekend of Tim Burton's film release. I wasn't sure what to expect. I knew it wasn't a convention, so I just planned on showing up and hopefully take good photos, mingle with cosplayers and hope to make new friends and maybe even possibly see Alodia up close. I arrived later than when the event started so I was just looking in on the Tea Party and taking photos from the sideline, because I actually didn't understand what the arrangement was. But since the event was kinda intimate in the sense that there wasn't that big of a crowd, I could take photos of the cosplayers around the Tea Party table with not much of a problem except for the occasional people getting in my way. At one point Alodia looks my way and seeing me she asked me to join the table for the group shot. I was gobsmacked to say the least. Because of that I was able to have a proper photo taken with the cast and I would like to thank Homer Medici -my former Fine Arts classmate for my photos (also Navz for not only accompanying me to the event but take photos for me as well). I especially love my solo shot with Ferdie, my DSLR, and if you look closely in the background you can Navz. All in all I was glad I went. I had fun and met some amazing people. I love cosplay! absolutely love ur socks! super cute!! Nice makeup! You're so daring to do such make up!